What's unique about this restaurant is its prime location. 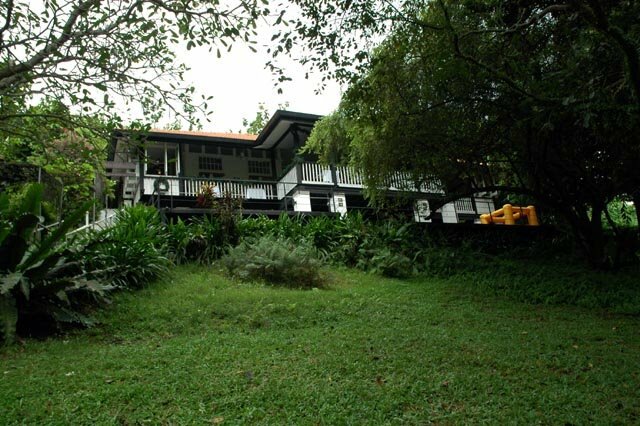 Situated right in between the main road and Fort Canning, it's walking distance from town offering a very relaxed and green environment. It's an ideal place to go for lunch if you happen to be around the area and you feel like taking a break from the buzz of town. Their Brunch Menu includes a good variety of French-style dishes with a selection for kids and it's reasonably priced at $25++ for 2 courses and $32++ for 3. 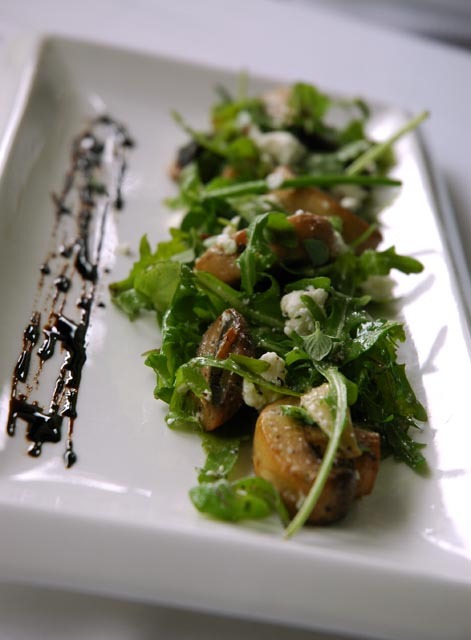 The mushroom salad was served with warm mushrooms, goat cheese and rocket. The mushrooms were quite juicy and tasty, and overall the dish was ok although not outstanding. It lacked of that extra touch to distinguish it from the rest. 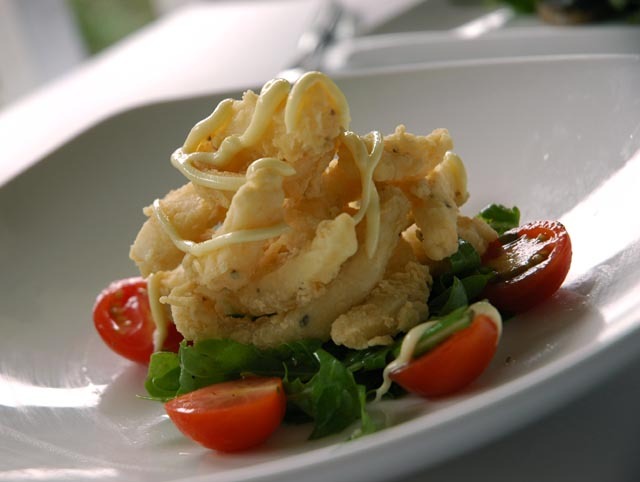 This deep fried squid was served on a bed of rocket and cherry tomatoes and topped with mayonnaise. The squid was crunchy and non oily, although not particularly soft. Once again, an OK dish, although nothing you couldn't have at a regular cafe'. The Eggs Benedict with bacon were the highlight of the meal. 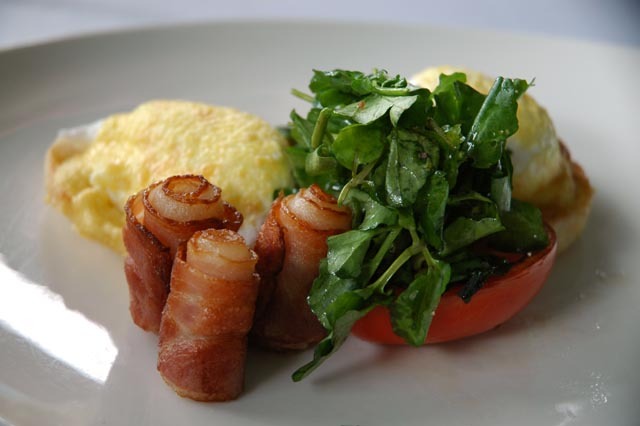 Two poached eggs topped with hollandaise sauce on toasted soft bread, accompanied by 4 rolls of nicely roasted bacon and a rocket and tomato salad. Finding a good egg benedict is not easy, and I have to say this was very well done. Excellent sauce, well balanced in sourness, perfectly poached eggs and crispy bacon to go with. Out of the dishes I had, this is the only one I would come back for. 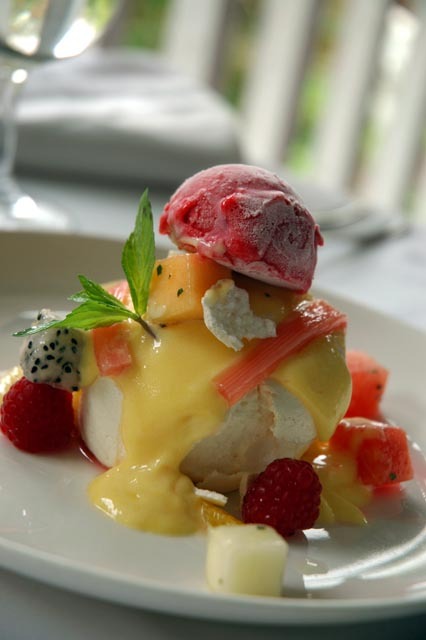 I ended with a Pavlova accompanied by fresh fruits and topped with raspberry sorbet. This dessert was light and refreshing, with a good combination of fresh fruits including rhubarb and topped by a moderately sweet custard cream. The sorbet topping contrasted the rather sweet meringue with its cool sourness balancing the overall result. The bill came to a total of $78.86, including a bottle of sparkling water, 1 x 2 course and 1 x 3 course meal. I would be interested to try this restaurant in the evening to taste what their regular menu is like. the brunch menu is nothing outstanding apart from the eggs benedict, but you still get your value back in terms of attentive service and relaxing environment. You probably wouldn't come back for the food itself, but I still believe that the price is reasonable when related to the whole package. The Mushroom Salad looks YUMMY!! 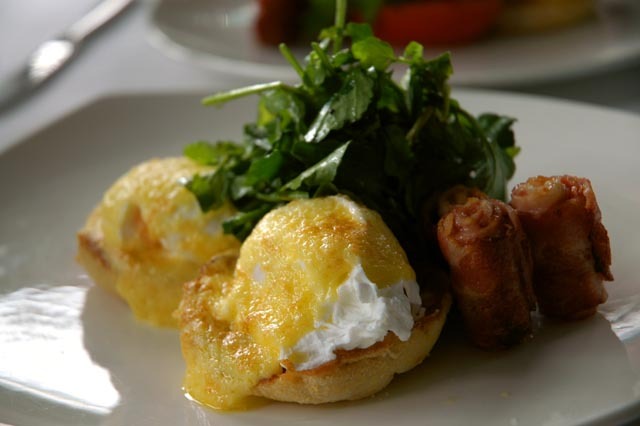 I'm pratically drooling at the pic of the eggs benedict. A big fan of that too. and i totally agree that a good version of that is so hard to come by.